See next post	What can be achieved with EU funding? There is a growing need worldwide for digital health solutions. A new innovation ecosystem coordinated by HUS (The Hospital District of Helsinki and Uusimaa) called CleverHealth Network, brings together the health technology knowhow, healthcare professionals and the precise healthcare data of HUS. The aim of the CleverHealth Network is a turnover of 11 billion euro and export earnings of 7,7 billion euro for the companies in the ecosystem. The CleverHealth Network ecosystem focuses on digital health technology, which is growing rapidly and has global markets. By utilizing the healthcare data, the aim is to build health- and well-being technology product and service innovations to improve efficiency and patient care as well as health and well-being. In addition, the aim is to grow technology exports and increase foreign investments to Finland. “As a university hospital, HUS is responsible for continuous research and development efforts to improve healthcare in Finland. We are now in the process of creating a competitive environment based on the utilisation of health data, allowing us to collaborate with companies to develop innovations and research that is especially based on the refinement of data. This means that the treatment we offer people in Finland will remain some of the best in the world, and, in the meantime, we will be able to create successful products for Finnish export,” explains Markku Mäkijärvi, Chief Medical Officer at HUS. The innovations of the CleverHealth Network will occur in the development projects that are created in connection to the ecosystem. Those projects combine some of the highest expertise from the corporate as well as the health sector with agile co-creation procedures. The first projects will begin this autumn and they are based on HUS’s speciality knowhow of cancer and brain research. The ecosystem opens up new projects for the Finnish companies and creates new employment in the field of digital healthcare solutions. The ecosystem is partly funded by Tekes. In addition to HUS, there are 14 companies in the CleverHealth Network that have a common interest to develop health technology – five SMEs and nine international companies: BCB Medical, BC Platforms, CGI, Elisa, Fujitsu, GE, IBM, Innofactor, Microsoft, Nokia, Noona, Planmeca, Reaktor and Tieto. Once the projects have begun, more companies are welcomed to join the network. “The new ecosystem offers a great pathway for us to introduce innovations created by our Japanese healthcare unit and Fujitsu Laboratories to Finland in a customer-oriented manner. One way to accomplish proactive, personal treatment is the use of wearable technology that makes the patient’s daily life at home safer and enables treatment processes that are significantly more cost-efficient. 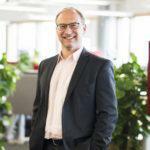 In addition, Fujitsu can offer a global channel for distributing the ecosystem’s solutions on all continents,” states Mikko Lampinen, Head of Public Sector and Healthcare sales at Fujitsu. “Spinverse has valuable experience and knowledge in setting up major ecosystem projects with multiple partners, thus it’s natural that Spinverse is involved in the setting up of the CleverHealth Network.” comments Laura Koponen, Managing Director of Spinverse Oy. Want to learn how Spinverse could help you? Contact us now! Finland’s EU-presidency, bringing impact to EU Innovation Funding?